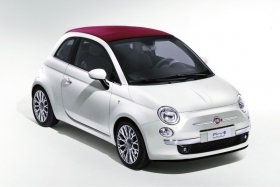 Chrysler will build the Fiat 500 in Mexico, but is studying other locations to produce Fiat-based cars. DETROIT -- Chrysler Group is considering a new assembly plant in North America to make Fiat-based models. "There are a few options we're digging into, including a new plant," said Scott Garberding, senior vice president for manufacturing, at the Detroit auto show. Garberding said Chrysler is studying a number of locations. He declined to identify them or to say when the company might make a decision. Chrysler also could make some of the Fiat-based models in its existing factories, he said. Chrysler is planning to sell a number of vehicles based on Fiat platforms in North America. The product offensive starts late this year with the Fiat 500 minicar, which will be made primarily in the space now occupied at Toluca, Mexico, by the Chrysler PT Cruiser, which is scheduled to be phased out this summer. Chrysler already is tooling up for the 500. Chrysler will make 100,000 500s annually -- 50,000 for North America and 50,000 for Latin America. In 2012, Chrysler will bring out a range of products in the compact and mid-sized car segments, built on Fiat platforms and equipped with fuel-saving Fiat engines and transmissions. Garberding said Chrysler has time to make a plant decision for Fiat-based vehicles because it is slashing its product-development time.